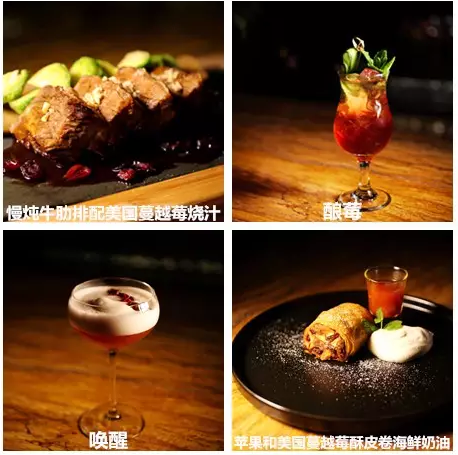 As part of U.S. Cranberry’s Chinese Spring Festival series of marketing activities, a cranberry menu promotion was conducted in Shanghai during the period of January 28 to February 18. This followed the Recipe Developing Seminar earlier and 6 restaurant brands participated in the event. They were: Kwei Mun Lung, The Festival, The Gusto, The Dining Room, 70S restaurant, and Cuisine & Lounge, with a total of 16 restaurants. The promotion reached about 220,000 patrons. Throughout the promotion, each participating restaurant offered four new courses with cranberries among their ingredients. These new items included cranberry beverages, dim-sum (small dishes) and entrée. The restaurants promoted their new offers with special tent cards and menu sheets bearing CMC’s logo, brief description of cranberry and CMC’s QR codes. By the end of the promotion, a total of 10,088 cranberry dishes were sold. CMC sponsored dried cranberries, cranberry juice, cranberry jam, and frozen cranberries to all the 16 restaurants. From the restaurants’ feedback, cranberry juice was most welcomed among the four cranberry products. However, they all had planned to include two or three cranberry dishes into their regular menu after the promotion. Cuisine & Lounge, a high-end western restaurant located at the Bund, on the river front, for example, launched U.S. Cranberry Soft Drink, Cranberry Cocktail “Awakening”, Cranberry Seafood Cream Roll, and Stewed Beef Ribs with Cranberry Sauce, for the promotion. They planned to add three of these items into their regular menu. In this regard, the restaurant would be contacting the distributors to discuss purchase cost of the various cranberry products to help them make the final decision about the new menu items. This menu promotion was also CMC’s first attempt to use cranberry in Chinese restaurants. Consumers enjoyed these dishes well not only because of its unique flavor, and color but also because of its high nutritional values.